Over time, all home foundations settle. The common causes of foundation settling are improperly backfilled soil, expansive soil, and tree roots. Movement in the foundation can affect the entire house and must be addressed right away. The structural issues will only become worse over time and can decrease your home’s value. Fortunately, there are some signs that indicate your house needs leveling. Expansion joints, or the vertical gaps between bricks or concrete blocks, are usually experts’ go-to way of spotting foundation settlement. If the mortar that fills these joints is showing gaps, cracks or expansion, that’s a sign of foundation settling that may require foundation leveling. 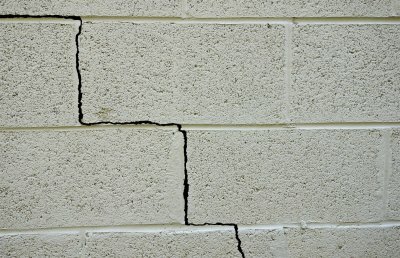 Another major sign of foundation settling is visible cracking along the interior or exterior of your home. If your home has any brick work, check for cracks in the mortar between the bricks, along with vertical cracks that seem to be growing wider. Additionally, if you have any brick work or not, look for cracks on the inside of your home, paying special attention to drywall, plaster, fireplace veneer and wood paneling. Don’t forget to check ceilings and floors too. Bulging floor tiles and exposed concrete floors are also signs of issues that may quickly become cracks, especially for basement floors. If you bought your home from a previous owner, check the history of past repair work. If there is evidence of patching cracks, replacing latches, or moving framework, this likely means that settlement could be occurring. Has your home ever given you trouble when it comes to closing doors or windows? If your house has foundation issues on one side of the structure, your house may now be at a slight angle causing your doors and windows to become stuck. This suggests that your house is no longer level. Check for slants in your floors using a tape measure or level in numerous areas of your home including your interior walls and exterior walls. Slanted floors could be caused by other issues in your home, but this is still worth checking. Leaning or cracking chimneys in many instances could suggest foundational issues if your chimney shares its foundation with your house. If you’ve had to repair your chimney because of these issues, it’s a good idea to check for settlement issues in your home’s foundation. When it comes to foundation repair, this is a job best left to the experts. 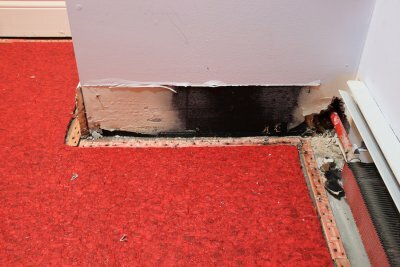 House leveling is very technical, and improper techniques used on your own could further worsen the foundation damage. At MitchCo Foundation Repair, we have been helping homeowners in the San Antonio area for over 20 years. We provide timely completion of projects and free, no-obligation estimates. Contact MitchCo Foundation Repair today to address your foundation repair needs. A proper home foundation does more than just hold a house above the ground. It helps to keep out the moisture, insulates against the cold, and resists the ever-shifting movements of the earth. A high-quality home foundation should last you a lifetime, so it’s well worth taking the time to ensure that you have the best type of foundation. While every home is built on a foundation, not every property is based on the same foundation. There are a variety of different foundations available, each best suiting a different area, home, and structure. 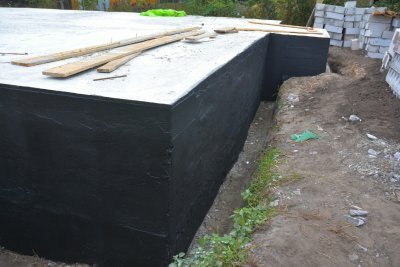 Variations are possible, but here are the most commonly used in house foundation construction, and what repairs often need to be made. Pier and beam foundations are constructed with wood posts or concrete piers set deep into the ground to bear the weight of the building. First, this reinforced concrete footing is buried underground, anchoring the entire foundation of the building in the ground to prevent shifting in volatile soils. Next, piers are constructed and attached to the footing. Piers are typically made from concrete or brick. The piers come out of the ground and support beams, which are directly connected to the floor joists beneath your flooring. This foundation is typically elevated 18 inches above the ground, with utility units for plumbing and electricity installed in this crawlspace. Repairs can easily be made since workers can access the area quickly. However, not just anyone can go into the crawlspace and make repairs. A professional who understands the foundation structure and common safety concerns can help you when repairing your pier and beam foundation. Pier and beam foundations mean that there is easy accessibility for workers to get underneath the house and repair problems, such as electrical and plumbing issues. This makes some types of foundation repairs easier to correct. Furthermore, there is a less chance of damage from the ground as it sits a few inches above it. However, this type of foundation is often susceptible to drainage issues and must be addressed regularly. Luckily, professionals can help to correct drainage concerns. 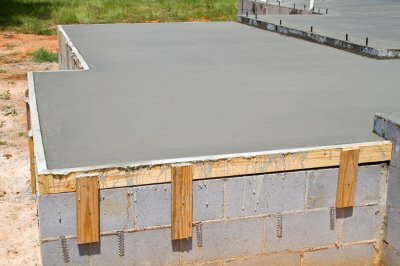 The slab-on-grade foundation is what it sounds like: a concrete slab poured at ground level that serves as the subfloor for the home’s living area. These foundations tend to be useful in climates that don’t experience ground freezing, and they are often less expensive than the deep foundations. Unlike a pier and beam foundation, the slab-on-grade foundation is not elevated. While it means that there is little chance for pests and critters to rest underneath your home, the downfall to slab-on-grade foundations is that the concrete must be broken up before the repair can take place if there is an issue. Additionally, as the pipes are stationed underneath the foundation, a burst water pipe can cost a considerably large sum of money to repair and recover. A foundation expert can customize repair to your home and needs. Foundations can be repaired but not completely replaced without destroying the home above. Your home cannot survive without a strong foundation, which is why it pays to have a true professional on your side to help. MitchCo Foundation Repair has over 30 years of experience in foundation repair, as well as restoration and maintenance. 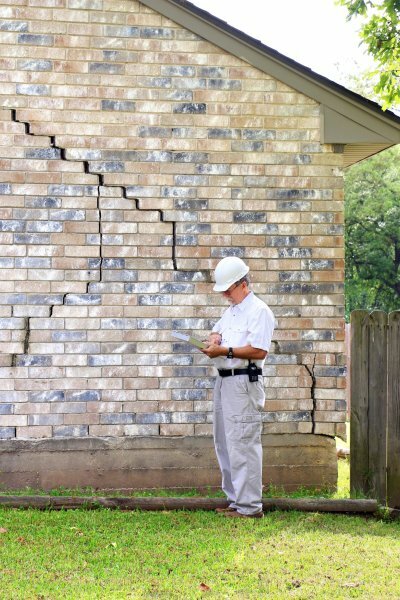 Serving the San Antonio area, our repair experts can help to correct your foundation issue. Contact us at (210) 485-1995 to find out how we can help keep your foundation in the best shape possible. If water isn’t draining properly around your home, it can wreak havoc on your foundation. Poor water drainage, such as when water is flowing towards a house instead of away from it, can severely damage the foundation and compromise its structural integrity. A foundation repair expert is needed to fix such foundation issues, because doing it yourself could lead to future costly repairs. Here’s how improper water drainage can impact your foundation. The seasonal swelling and shrinking of expansive soils, such as the clay soil found in parts of the San Antonio area, is the most common cause of foundation movement. During wetter months, the soil swells with an increase in its moisture content, which raises a foundation. Then in the drier months, the soil shrinks back down, and the foundation settles. If water around a home isn’t draining properly, some areas of soil may swell more than others, and consequently, some areas may dry out quicker than others. This is bad news for a foundation. Cracking can begin to occur due to the unbalanced soil below, since one part of the foundation becomes more supported than another. As time goes on, soil around a home may become eroded. Runoff from rooftops that lands too close to a home may begin to erode the soil around its foundation. This could cause damage and movement of the foundation as the soil becomes less stable. Clogged gutters can also contribute to soil erosion if water overflows and accumulates around a home’s foundation. Downspout drains that aren’t angled properly can add to the problem here too. It’s not always direct rainwater that can cause a foundation issue. Groundwater can seep through soil and into areas that are damaging to a home’s foundation if pooling happens too closely to the house’s perimeter. Appropriate water drainage can prevent this. Your home’s foundation may be affected by water not draining properly if you notice continuous dampness in the house. Damage to walls, such as plaster crumbling, paint peeling or wood rotting, may also appear if the problem is left untreated. 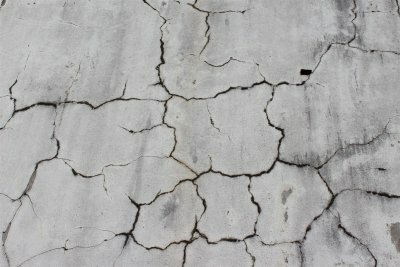 Cracking and tilting in a home are also symptoms of poor water drainage around the foundation. When floors sag and windows or doors that once worked smoothly begin to become stuck, this can mean there’s movement in the foundation. In situations where water continues to damage a home’s foundation, the home itself can start to sink, or worse yet, collapse. Therefore it’s important that water drains properly around a home, and why the help of an expert is necessary if it doesn’t. Serving the San Antonio area, our foundation repair professionals can help correct a variety of foundation issues, as well as make sure water is draining properly around your foundation. We offer free estimates too, so give us a call at (210) 485-1995 if you suspect any problems with your foundation or water drainage. 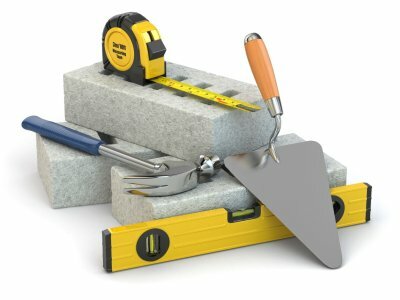 One area of the home most homeowners tend to ignore when it comes to maintenance and repairs of the home is the foundation. Whether you have a basement or concrete slab, the foundation is an essential support structure for your home. From hot and cold temperatures to different weather conditions, these can pose problems for your foundation, which can lead to costly repairs. During the hot summer months and periods of drought, the dry air causes the water in the concrete to evaporate. This can lead to cracking and a weakening of the foundation. Hot weather also causes the soil to dry out, which can lead to foundation settling because there is less moisture in the soil. As a result, the foundation will “settle” or sink into the ground, resulting in an uneven foundation and cracks. Any problems created during hot, dry periods of weather can cause problems once rain returns. Cracks or gaps in the foundation can allow the water to get under the home or into your basement, which causes flooding and further weakens the foundation. The water will also cause the cracks and gaps in the foundation to become bigger. Not to mention, the underlying soil is often so dried out, it cannot reasonably absorb large amounts of water after prolonged dry spells, so it will become soft and mushy and could result in further “settling” or sinking of the foundation. While not that common, it can turn cold in San Antonio during the winter months, and we do occasionally get some snow. The colder temperatures can cause problems for your foundation in situations where there are already small cracks and gaps. As temperatures drop, concrete will contract slightly, until temperatures warm back up, when it will expand again. As such, any existing cracks and gaps can become larger. 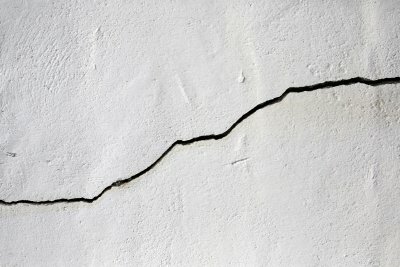 Cracks and gaps in the foundation or basement floor and side walls. The appearance of cracks on walls, ceilings, and stairways, and other upper levels of the home. Doors and windows become difficult to open or close and seem overly tight. You notice gaps and cracks around windows and exterior doors. The roof looks like it is sagging, which is common in homes with severe foundation damage. Large cracks and gaps in the soil around the exterior perimeter of the home. If you notice any of the above symptoms, it is highly recommended you contact a professional foundation repair company, like us, here at MitchCo Foundation Repair, to get a second opinion. Discovering foundation damage sooner, rather than later, is less costly to repair and fix. For further questions about foundation damage or to arrange an in-home inspection, please call us at 210.485.1995 today! San Antonio’s clay soil, persistent dryness, and high summer heat present a perfect storm for foundation damage. In order to do its job of supporting your home, the foundation must first be supported by the soil underneath it. When summer temperatures hit in Texas, moisture located between soil particles can evaporate, causing those particles to fall together and “shrink” under your foundation. This kind of shrinking action can cause the foundation to rotate, drop, or both. Issues can also be caused during times of intense storms accompanied by soaking rains. 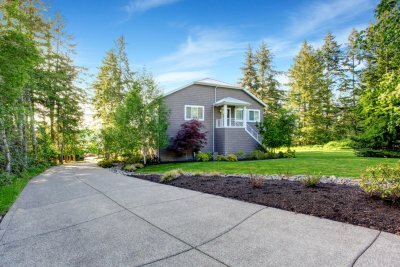 These conditions can cause shifting due to an excess of moisture between soil particles, which causes soil to become slippery and the foundation to shift. None of these symptoms should ever be ignored, as they can lead to major damage and expensive repair to your home’s roof and plumbing. This is why it’s so important to have your foundation repaired as soon as possible. If you are seeing the above symptoms of a shifting foundation, your first step is to contact a company experienced in foundation repair. They should send out a contractor who will conduct a thorough evaluation of your property, including the land situated around your home. This will allow him or her to evaluate both the cause and extent of the damage. It may be that your foundation will require leveling, which involves lifting your home and then stabilizing the foundation with piers. In other cases, soil can be a main culprit of foundation problems. 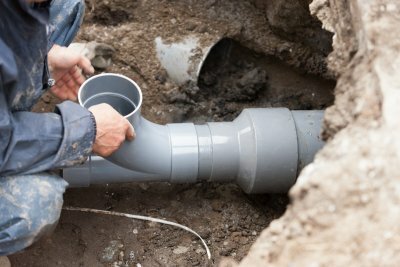 Where this is the case, the drainage around your home may require adjustment and the soil stabilized to prevent future issues. Once you’ve called a reputable foundation repair company to fix your foundation, you can apply prevention measures to ensure that your foundation doesn’t shift in the future. If the cause of foundation shifting was excessive dryness, hydration of the soil around your home will be needed. You can gauge the dryness of the soil by digging down six inches at your foundation. If the soil is very dry, your foundation will require hydration. However, you should dig down at your foundation and test the soil in this way at each side of your home because the conditions can and do vary. If moisture is needed, you’ll need to run a soaker house approximately one foot away from the foundation, allowing the water to run until the soil is only moist. MitchCo Foundation Repair has over 30 years of experience in foundation repair, as well as foundation restoration and maintenance services to customers in the San Antonio area. Call our office at (210) 485-1995 and discover how we can help keep your foundation in the best shape possible. 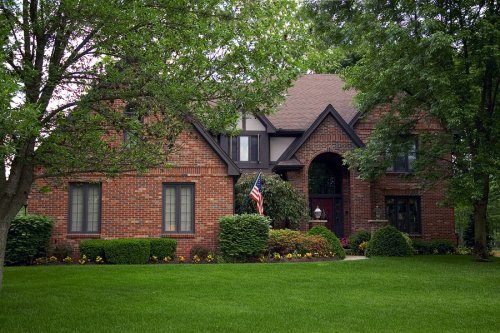 Mature trees provide your landscaping with undeniable appeal. However, if your trees are planted too close to your pier and beam foundation, you may start to experience issues with the structural integrity of your home. If tree roots have started to damage your pier and beam foundation in San Antonio , you will want to get in touch with a team of concrete contractors. With professional concrete repair and foundation maintenance, you can make sure that your tree roots are not affecting the durability of your foundation. There are a few ways that mature tree roots can affect the integrity of your home’s foundation. When tree roots start to grow and spread, they can easily make their way through the soil that forms the base of your foundation. As the tree roots continue to grow, they may cause your foundation to shift, crack, and experience other serious issues. By planting trees within a safe distance from your foundation, you can ensure that your property is safe from structural harm. A pier and beam foundation will provide your home with excellent structural integrity, while also providing you with a spacious crawlspace. Over the years and seasons, however, your pier and beam foundation will eventually require routine maintenance and repairs. A team of concrete contractors near San Antonio will have the tools, knowledge, and expertise needed to restore your pier and beam foundation repair to excellent condition. To help you prepare for your foundation and concrete repair services, here is a look at some of the most commonly asked questions about pier and beam foundation repair. What are common causes of pier and beam foundation issues? In order to properly repair your foundation problem, it is important to identify your underlying repair problem. 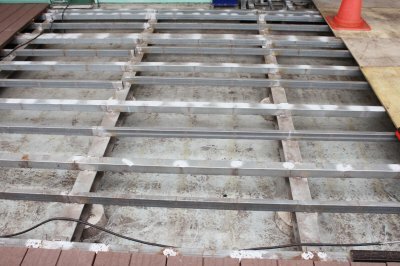 There are a few common causes of issues in pier and beam foundations. Improper initial installation of the piers can also lead to maintenance issues at a future date. One main potential issue with pier and beam foundations is the possibility of a drought. 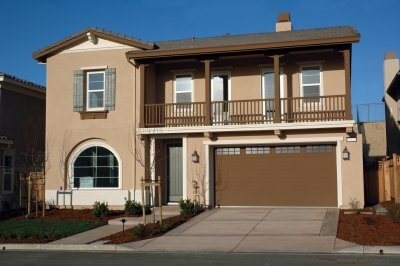 Droughts can cause settling of the posts or plumbing leaks, and excessive rain can cause a foundation to move or shift. Your foundation could permanently alter when there is a period of heavy rain followed by droughts for long periods of time. This could also cause your foundation to become unlevel and must then be structurally leveled and raised. How do I repair my pier and beam foundation? A pier and beam foundation repair is a major procedure that is best left to the professionals. During your foundation repair, your team of contractors will carefully inspect your foundation to determine the source of the damage. If improper drainage has caused the soil underneath your foundation to expand, it may be necessary to perform drainage correction services. A shoring installation can also help to stabilize a weakened foundation structure. Will my pier and beam foundation repairs be expensive? Some homeowners worry that foundation repair services will be cost prohibitive. If you neglect to repair your pier and beam foundation for too long, you may find that you have to schedule very costly repairs in the future. When you schedule a pier and beam foundation repair appointment today, your contractor will be able to work with you to help you create an affordable payment plan for your services. Foundation repair issues can be a major inconvenience for any homeowner. In this video, you will take a look as the founder of MitchCo describes some of the most common foundation issues that are found in San Antonio homes. If you start to notice shifting window sills, foundation cracks, or other signs of foundation problems, you should schedule services with MitchCo’s foundation repair experts serving San Antonio. As a general rule, it is also a good idea to schedule foundation inspections at least once a year. During your inspection, a team of concrete contractors will inspect your foundation for signs of structural issues. Using state-of-the-art construction methods, your MitchCo technicians will create a foundation that has been built to withstand the test of time.